Make this spring the best one yet, just buy a new home from Rockhaven Homes! 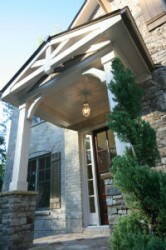 This premier Atlanta intown builder offers luxurious custom homes. Currently, the builder is getting ready for its spring sale. Move-in ready homes include three in Brookhaven, one near Lenox Mall and one near Chastain Park. Locations under construction can also be found in Ashton Park, Buckhead, Chastain Park, Historic Brookhaven and Chamblee. Floor plans feature a very livable open feel, four or five bedrooms, flex space and open gourmet kitchens. Standard features include showcase site finished hardwood floors, semi-custom cabinets, granite countertops and amazing spa style baths with travertine surfaces. 5158 Lake Forrest Drive, Atlanta 30342: Priced at $1,395,000, this amazing custom home sits on two-and-a-half acres near Chastain Park. With a master on main layout, the home offers a keeping room, three fireplaces, spa style master bath with marble floors and countertops and a spectacular covered outdoor living space. The open kitchen features marble and granite counter surface, Viking range and a large walk-in pantry. Four secondary bedrooms and a large media room are upstairs. This home also offers a three car garage. 2103 and 2111 East Roxboro Road, Atlanta 30324: These two homes offer great value in the Lenox/Pine Hills area. Both homes offer approximately 4,000 square feet on unfinished basements with open floor plans and luxurious standard features. These homes are priced at $699,900 and $729,900, respectively. Tallulah Manor, Brookhaven 30319: With six home sites to choose from, Tallulah Manor is a great choice for intown living. Homes are between 3,200 to 3,800 square feet with four bedrooms, open floor plans and outdoor living spaces with fireplaces. Homes here start at $599,900. www.RockhavenGa.com or contact Melanie Burruss at 404-593-5319.